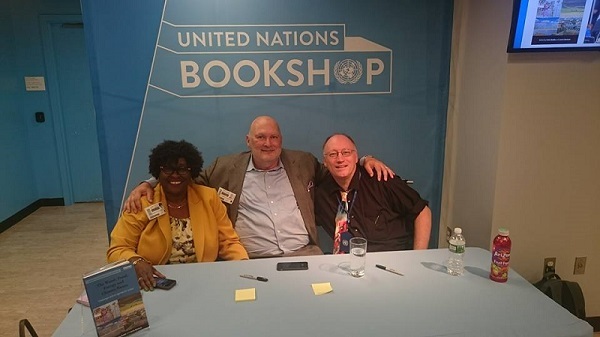 The launch of my new book Negotiating the Sustainable Development Goals: A transformational agenda for an insecure world with my co authors Ambassador David Donoghue and Jimena Leiva Roesch and the President of the United Nations Peter Thompson. You can watch the Facebook live event here. 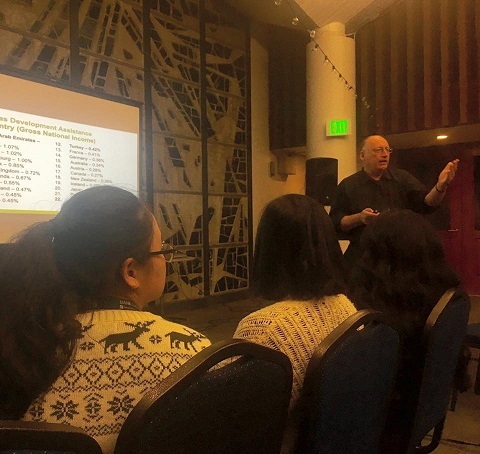 A great fundraising event I attended for the Plastic Pollution Coalition in Los Angeles before Christmas. Consider when you are buying if you need to but anything that has plastics packaging. “I first met Father Christmas at the age of three in a clothing store in the U.K. in Derby, and I became Chair of Father Christmas Youth. I then organized a stakeholder consultation around gift-giving practices in my freshman year at University of Surrey. 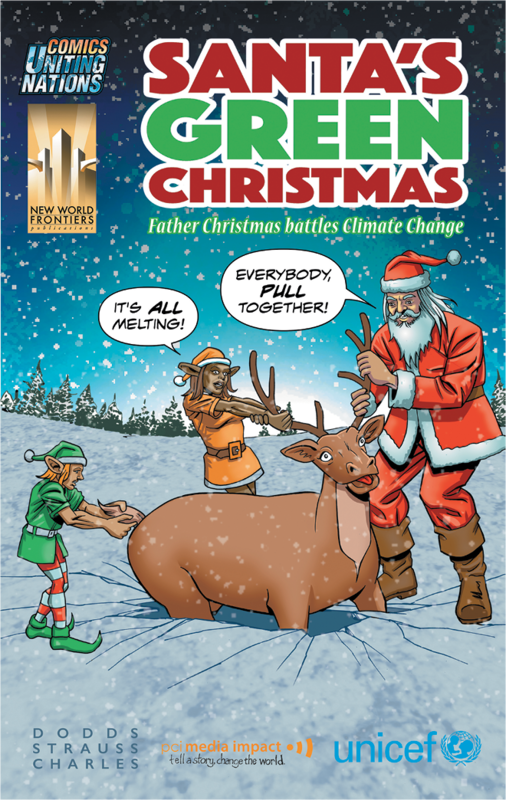 I hope to have Santa lead a”workshop on the Nexus of Climate Change, Water, Energy and Food. 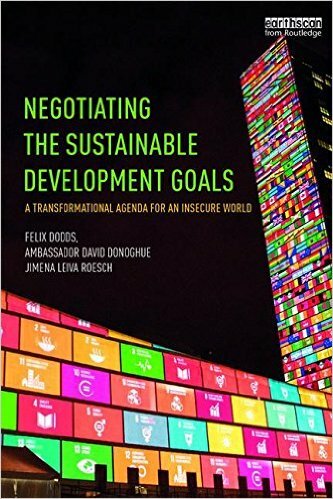 Also just out is my new book Negotiating the Sustainable Development Goals: A transformational agenda for an insecure world written with Ambassador David Donoghue and Jimena Leiva Roesch. 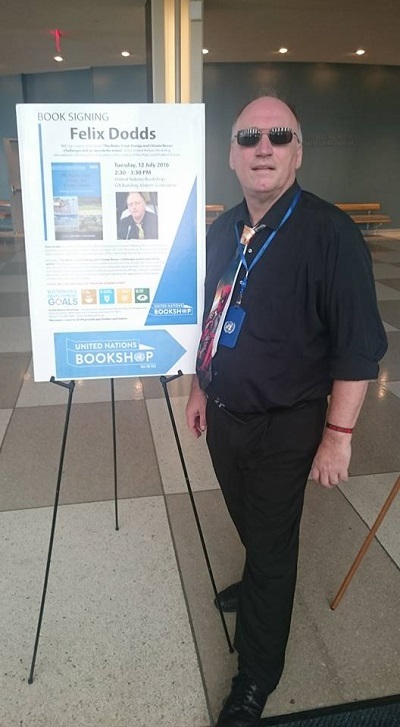 I facilitated five events and spoke at one in Quito as the event had no negoations as the New Urban Agenda had already been agreed in New York then it was an event full of side events. 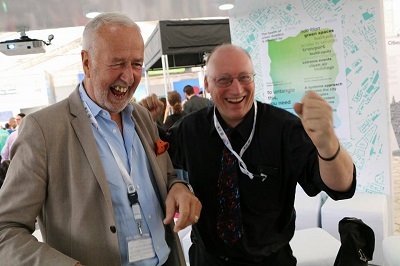 A kind of Global Forum of ideas. 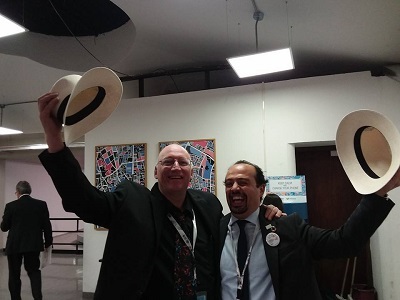 Who could not buy a Panama hat which is a traditional brimmed straw hat of Ecuadorian origin. Traditionally, hats were made from the plaited leaves of the Carludovica palmata plant, known locally as the toquilla palm or jipijapa palm, although it is a palm-like plant rather than a true palm.Straw hats woven in Ecuador, like many other 19th and early 20th century South American goods, were shipped first to the Isthmus of Panama before sailing for their destinations in Asia, the rest of the Americas and Europe, subsequently acquiring a name that reflected their point of international sale, "Panama hats", rather than their place of domestic origin. 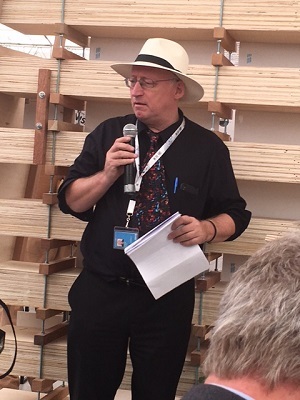 "The ambitious goals of Agenda 2030 and the Paris Agreement on climate change have not yet been matched by an equally ambitious financing plan that will get the right resources to the right places at the right time. 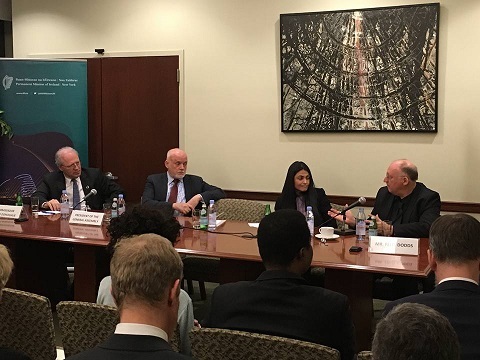 Despite articulation of a global financing framework in the UN’s 2015 Addis Ababa Action Agenda, both public and private financing for sustainable development are underperforming relative to expectations and needs. Public resources command attention because they can be programmed by government commitments with some degree of confidence on a multi-year basis. Publicly-funded investments can also incorporate non-market environmental, social and governance issues into project design, selection and implementation. It is certainly the case that many countries still need to mobilize more domestic public resources for the SDGs and climate action. There are, however, well-understood limits to public financing, including pressures on official development assistance (ODA) due to diversion of resources to humanitarian relief and to economic strains in major donor economies, many of which have roots in the most recent global financial crisis." The paper explores the question of how to align the responsibilities of interconnected investor, policy, regulatory, and corporate actors in a manner that creates incentives for reorienting capital flows toward SDG priorities. It further proposes a practical timetable linked to major international events in 2019, 2020 and 2023 – by which Member States can work with private sector leaders to ensure that both public and private investments meet appropriate environmental, social, and governance standards to achieve the international agreements captured in the 2030 Agenda for Sustainable Development..
On Tuesday the 12th of July I spoke at a side event launching the ‘Water – Food – Energy - Climate Nexus’ The event was moderated by Reinhard Krapp, Minister: Head of Economic Department of the Government of Germany authors speaking included Liz Thompson: Assistant Secretary General of the United Nations and Executive Coordinator for the UNCSD Rio+20, David Le Blanc Division for Sustainable Development and Gary Lawrence former Vice President and Chief Sustainability Officer for AECOM Technology Corporation It was followed by a book signing at the UN bookshop. At the High Level Political Forum the Global Research Institute and Catalyst hosted a workshop on Multi-stakeholder Partnerships held at the Paper Factory.